Mergers and acquisitions (M&A) is not a new concept for hospitals and other healthcare industry organizations, particularly in the era of hospital-physician alignment. Making M&A transactions work, however, is an entirely different exercise and is increasingly challenging in today’s marketplace. Creating long-term value after merger integration requires careful planning and execution. I am an avid football fan. In working with healthcare organizations on merger strategies and M&A transaction execution, I can see parallels with football teams.So, in outlininghow to make healthcare organizations’ transactions work better, I use the football team metaphor for application. Perhaps, the similarities will resonate withfootball fans. What do we mean by “makes a transaction work”?A transaction that results in long-term value creation for all stakeholders is one that works, whichis more challenging when evaluating hospital mergers compared to assessing short-term success. Measuring the success of a transaction requires a look far beyond the initial perspective of fit and financial returns, focusing instead on whether the affiliation resulted in compelling value realized over an extended period. So, how can we ensure such strategies are resulting in long-term value for these organizations, as opposed to short-term tactics implemented on a reactionary basis? This is where effective post-merger integration comes into play.Following are some key points for organizations to follow when pursuing long-term value from transactions. 1. Validated strategic vision of merger/affiliation. Though the requirement for validation may seem obvious, many mergers begin and transpire among healthcare organizations never entail a legitimate strategic vision that justifies the deal. Many companies in other industries pursue transactions with the objective of increasing value through impact on share price, consolidating competition, or gaining access to new markets.However, there’s more to healthcare deals than valuations and short-term financial returns. Transactions involving healthcare entities are too complex and have too much systemic impact to ignore strategic validation supporting such affiliations. Organizations must identify and understand what the validation is. It is equally important that all stakeholders (both buyers and sellers) canbuy into that strategic vision, and articulate the validated strategy to those whothe transaction impacts. 2. Develop key objectives and targets for integration. Once the vision and value case for a deal has been established and validated at a strategic level, we must think about integration. Here, the football metaphor begins, in that this is akin to a team defining its key objectives for a particular season. Every team wants to win every game, just like every organizationhas high hopes for achieving the best scenarios from a deal strategy. Realistically, teams and organizations must concentrate on the most critical targets, so the best teams will dissect their season, understanding their schedules, opponents, and their own resources. They will know what the road to a championship must look like; then, everything subsequent to that will concentrate on that pathway. Stakeholders must begin early in the deal process to establish key objectives for the integration process that will allow the greatest opportunity for creating long-term value. Setting the objectives gets the stakeholders on the same page as to the key items andhelps to ensure that the partnership leaves the gate with the greatest potential for achieving the desired vision. 3. Identify and evaluate synergies and gaps. Next, the stakeholders must progress into an evaluation phase. Many fans may not be aware that football teams engage in this step. For every hour spent practicing on the field, players and coaches spend more hours in team rooms researching their opponents, their own players, schedules, etc.,to discoverfactors that could impact the team’s strategy and ability to win games. Many people assume transaction due diligence should only consist of verifying thereare no major issues that could ultimately threaten the completion of a deal. The evaluation during this phase of integration planning, however, must go far beyond basic deal due diligence. We start with identifying those things that work best for both organizations and gaps that could impede those integration efforts. We look forholes that will need to be filled during integration because although such gaps may not directly hinder the integration process, they often require attention to ensure they do not become future impediments. 4. Establish leadership, structure, team and governance. Many organizations wait until a deal closes before creating an integration team and launching planning efforts. Months later, it’s typical to find questioning why integration is moving so slowly with little results to show. How this relates to football is obvious, at least on the surface. Teams must recruit the best players to remain competitive, though there is much more to that. Team owners (or in college football, a university’s administration) must begin by putting the right leadership in place because even the best players will not be able to win games without the optimal leadership driving the program. We need not just a head coach, but the best offensive and defensive coordinators who can execute that team’s strategy. We need position coaches that can squeeze talent and hard work from each player throughout a long and exhaustive season. Teams need the best equipment and technology staff, as well, to ensure nothing constrains the successful execution of the team’s strategy. In working on post-merger integration processes, the first thing to establish is the Integration Management Office (IMO).The IMO is the central resource responsible for coordination and facilitation of the integration process and usually encompasses the outside consulting advisor assisting on the integration program. Next, comes governance, which entails setting the protocols, guidelines, and parameters for integration.Governance leads into structure, which is the mechanism for implementing and managing the integration. At the top of that structure is leadership, which incorporates executives and senior staff members from both organizations. The leadership must represent the individual agendas and objectives of their legacy organizations and must place all of the commitment to that strategic vision as identified and validated initially. Once the leadership is established under the governance parameters, we can move into more granular components of the integration team and structure. We will develop Functional Areas, which represent key elementsof integration (e.g., technology, personnel, finance, etc.). These Functional Areas will be coordinated by Functional Teams, which will be the people–typically at least one representative from each stakeholder involved in the transaction–responsible for leading the efforts of integration within their respective areas. 5. Outline metrics, reporting, timeline, process and milestones. The integration structure also will incorporate reporting protocols, which will function as guidelines for reporting progress and issues to the integration’s leadership team, and serve to track KPI’s, budget maintenance, resource utilization, and other key metrics. To have relevant, actionable intelligence to report, there must be something on which the integration team (i.e., leadership on down) to report. 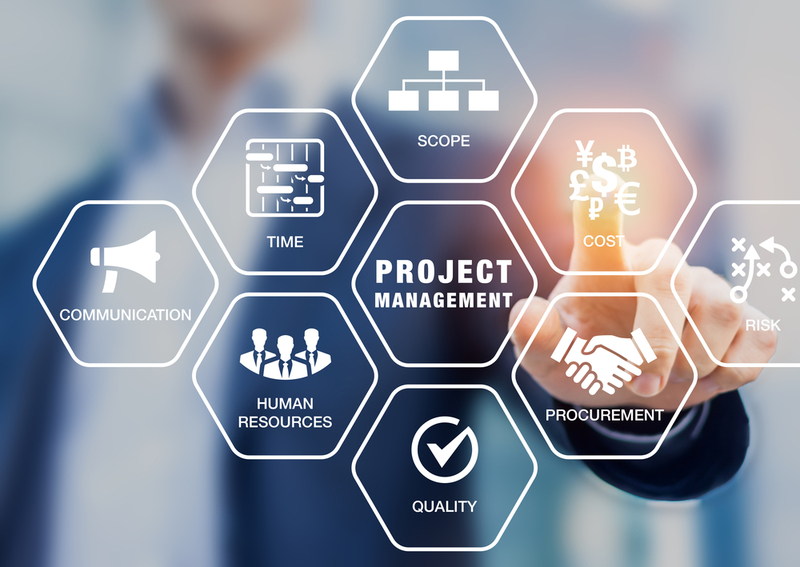 While everyone may be on the same page regarding the big picture vision and general targeted objectives of integration, it is important to develop specific guidelines for the program’s timeline, KPI’s, value metrics, milestones, and other key elements of the process. 6. Develop the roadmap for integration. Once the high-level guide for the integration process is established, we must then drill down to a granular level effected through the development of the Integration Roadmap. If the previous points could be considered the general format of a team’s approach to offense or defense, and the items in point #5 would make up the team’s playbook, the Roadmap is the actual game plan that outlines–step-by-step and play-by-play–the execution of the integration program. There will be pre-planned audible formations and other adjustments that can be made ifscenarios arise that alter the original game plan. The Roadmap is a specific, detailed, and tangible product. Just as football players will wear arm-bands with coded plays and game plans to reference on the field during the game, the Roadmap will be a series of comprehensive and extensive documents (i.e., slide decks, Gantt charts, spreadsheets, maps, etc.) to guide the team through the integration process. As changes are inevitable during the progression, just as plans always change during a football game, the Roadmap will evolve as needed. The implementation process to this point comprises significant work, yet we are only now getting to the stage that counts the most. Rather than viewing the initial work leading up to the actual opening kickoff negatively, I encourage leaders to consider this investment on the front-end as minor when you consider the impact it likely will have when the game clock is ticking. This planning effort is similar to the spring season practices, training camps, organized team activities, strength and conditioning sessions, and individual/outside practice that teams and players will go through leading up to that season opener. Once the season begins, the degree of challenge does not dissipate, but the focus is more on executing a validated and refined planned, as opposed to figuring out the plan before going through your regular season schedule (only to realize your team is not a potential post-season contender).